The ferrite is made of iron oxide and other ingredients. Generally can be divided into permanent ferrite, soft ferrite and rotating ferrite three. Permanent magnet ferrite, also known as ferrite magnet, is what we usually see the black small magnet. 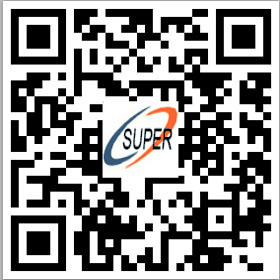 Its composition of raw materials are mainly iron oxide, barium carbonate or strontium carbonate. After magnetization, the residual magnetic field is very high, and can keep the residual magnetic field for a long time. Usually used as permanent magnet material. For example: Speaker magnet. 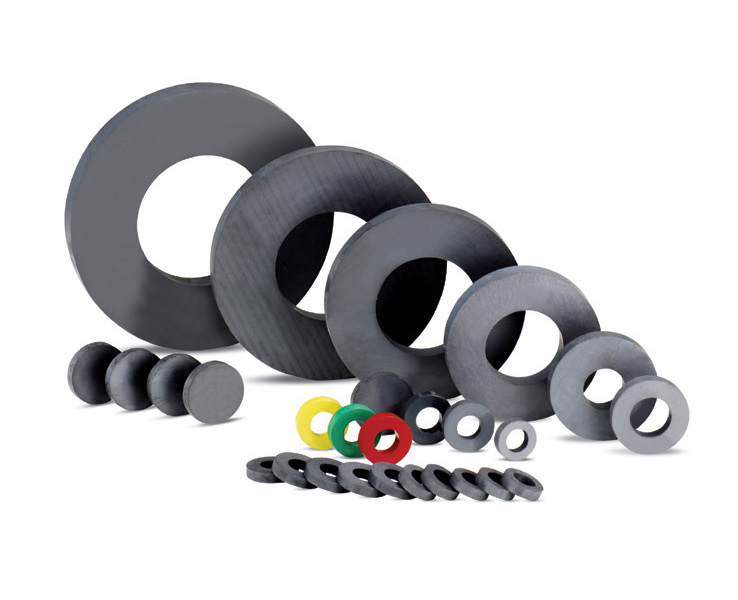 Soft ferrite is made of ferric oxide and one or several other metal oxides (such as: nickel oxide, zinc oxide, manganese oxide, magnesium oxide, barium oxide, strontium oxide, etc.) sintered. It is called soft magnetic, because when the magnetizing field disappears, the residual magnetic field is small or almost no. Usually used as a choke, or medium frequency transformer core. This is completely different from permanent magnet ferrite. The rotating ferrite refers to a ferrite material having spin-magnetic properties. Magnetic properties of the magnetic material refers to the two perpendicular to the DC magnetic field and the role of electromagnetic waves under the action of the plane polarization of electromagnetic waves in the material within a certain direction of the process of transmission, the polarization plane will continue to spread around the propagation direction of the phenomenon. Rotomagnetic ferrite has been widely used in the field of microwave communications. According to the type of crystal, spin ferrite can be divided into spinel, garnet and magnetite (hexagonal) ferrite.